If you are like me, you’ve already started your holiday shopping or at least created a list of what to buy. (Cue the holiday music) If you haven’t, that’s ok, like others you may be the last-minute shoppers. Either way, if you are shopping online this holiday season you will be receiving plenty of deliveries at your front door. Are you always home for those deliveries or able to get to the door? 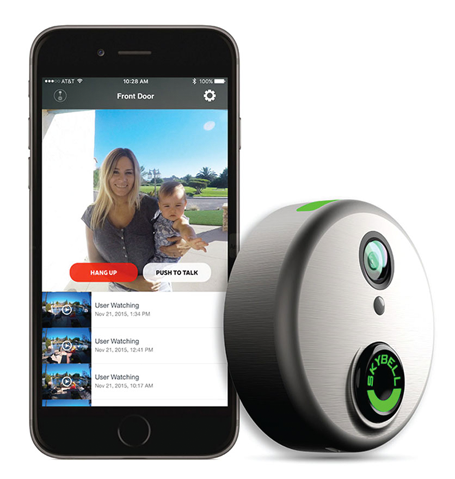 No worries, here’s one thing you’ll want on your Christmas list, the Skybell Video Doorbell! Custom Alarm uses Skybell doorbell technology to keep you and your family safe! Skybell’s unique technology allows you to see, hear and speak to any visitor at your door.